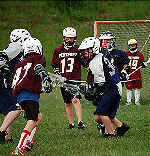 NOVALacrosse.com was launched with a mission of supporting the fast growing lacrosse community of the Northern Virginia area including the counties of Fairfax, Prince William Loudoun, Arlington and the city of Alexandria. Created by a team of local web entrepreneurs who have had a close personal connection with lacrosse in Northern virginia for over 10 years, this site is intended to always be about Northern Virginia Lacrosse only and not be cluttered with information not pertinent to our community's information needs. This site has many features servicing the multiple facets of lacrosse including high schools, select teams and youth leagues for both boys and girls. Features including news, calendars, directories, schedules, scores, standings, tournaments and guides are specific to the section you are in organizing the site into a more readable and useful format. 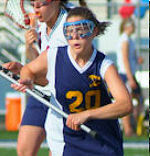 In addition to the content generated by the site, NOVALacrosse.com also aggregates lacrosse news and information from other local sites helping you find and access any lacrosse information regarding lacrosse in Northern Virginia. Using local sources such as school newspapers, local newspapers and magazines, and many other sources for information, NOVALacrosse.com aggregates this information into a single easy to use resource helping you quickly locate and access what you need and when you need it. NOVALacrosse.com is a community driven site where all users of the site can create an account and participate in the dicussion available for any of the posted content. Whether it is the latest news, a posted tournament or a game recap, you can discuss all of the issues with the community using comments available for all posted articles. To make tracking your interests and discussions easier, NOVALacrosse.com has The Lounge, an innovative and simple way to view the latest conent and any comments in a single screen. Browsing the lounge allows you to easily stay on top of the latest discussions without having to click over to multiple locations in order to see what is going on within your interest areas. 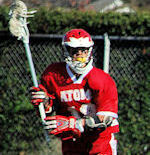 Another great feature is the NOVA Lacrosse History Project. 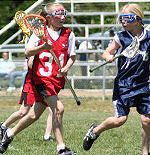 This is a community driven timeline of events that have shaped lacrosse in Northern Virginia. Anyone with a story about lacrosse in Northern Virginia, like the first game played between to Northern Region Highschools for example, can post their memories into the historic timeline. NOVALacrosse.com with your help will build a fully documented encyclopedia of all things Lacrosse for its entire history in the Northern Virginia area. Thank you for visiting our site and please look around, take the tour, and become part of our community here at NOVALacrosse.com!